Happy Monday friends! Hope you all had a wonderful weekend! I wanted to thank you for all the kind words and well wishes on my first day back to work! I was thankfully a lot less emotional than I expected to be and coming home to her smiles and cuddles was just the best, not to mention starting back at work on a Thursday made for a much easier transition! 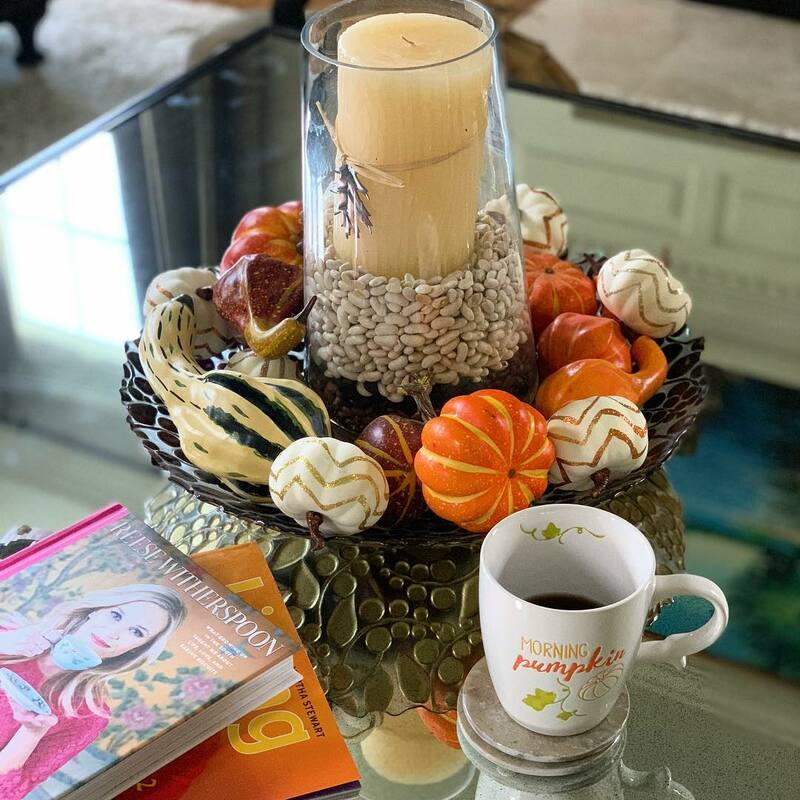 Similar to my post last month with 5 things I loved in September, I wanted to share a few of the things that I just couldn't get enough of in October! Whiskey in a Teacup || My sister surprised me with this book early on in the month and I couldn't get enough of every single chapter. What I loved is that you could actually here Reese talking as you're reading the book. It was great to have her ins and outs to style, entertaining & the recipes! 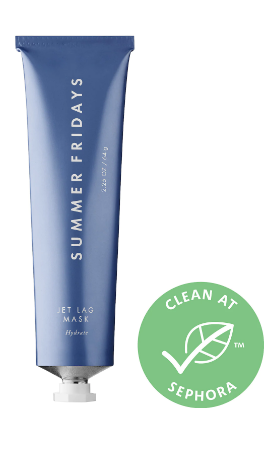 Summer Friday's Jet Lag Mask || I have used this every single day since I purchased it at the beginning of the month and it's one of the best products that has left my skin feeling so hydrated. I use it right after the shower and then in the mornings as a moisturizer. It's so lightweight and free of pretty much every single toxin so you can feel confident putting it on your skin. I already know I'll be repurchasing it this Friday during the VIB sale! Sophia's first Halloween || We celebrated Sophia's first official holiday with Halloween! She was a little too tired to go out and enjoy the festivities, but we did manage to have a little pre-party fun at our neighbors house with all the kids. I felt a little bad that we didn't dress up like the other parents, but next year we'll be better! Wedge Booties || My wedge booties that I first mentioned in this post, finally came in at the tail end of October and I have been wearing them non-stop! They are so comfortable and the exact type of shoe I was looking for to give the jeans and sweater look a little more pop! As far as sizing goes, they run true to size. Maybelline Lipgloss || I've become somewhat obsessed with these lipglosses. I currently mix "charmer" and "too cute" & really want to get a few more. I will say a little goes a long way and you do have to be careful since it can transfer to your teeth! I looked at the calendar and realized that I'm coming up on my 5 year blogging anniversary which is just nuts!! I'll be doing a really fun giveaway in the next couple of weeks to celebrate! Hope you have a wonderful week ahead! Your October is so full of color especially with sweet Sophia in it now...cutest lil Candy lover!!! Your daughter's first Halloween costume is adorable! Sophia's Halloween costume is a definite favorite for October!! She's so cute in it! And next year y'all will have to dress up in a theme!! Love those booties on you! I've been wanting the Jet Lag mask for months now!! Hoping to finally purchase soon! Glad to hear you had a good first few days back at work! Those wedge booties are ADORABLE--I really want a pair!! Little Sophia is adorable in her Halloween costume ! 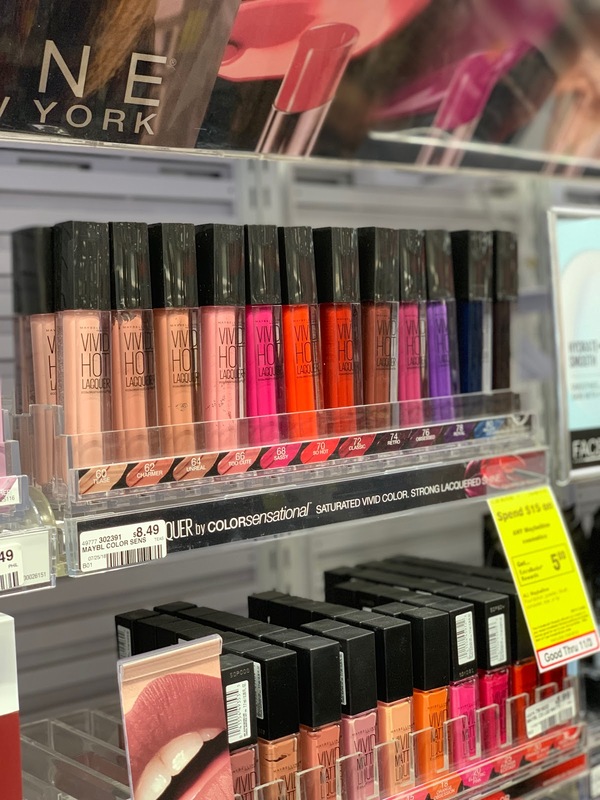 I need to give the Maybelline Lipglosses a try - all the colors in the photograph look stunning. Have a fabulous week ! Sophia's costume was sooo cute! Totally jealous of her candy stash, lol. You just reminded me I want to add Reese's book to my Christmas list! Yay for 5 years of blogging! Such a cute post! Your daughter is the cutest! OMG! 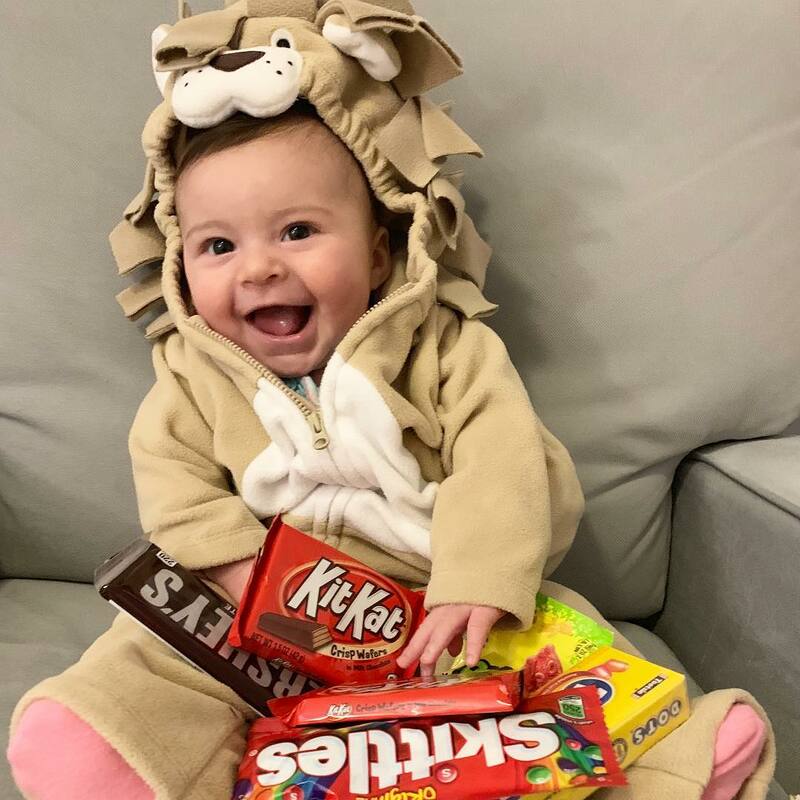 Look at her adorable first Halloween costume - how perfect! I cant handle Sophia in her outfit. sooooo cute. also I bought that mask that I plan on taking on my long trip next month to use on the plane/after. love. I know I've mentioned it before, but Sophia in her costume is just absolute perfection! That smile! She's going to be a heartbreaker, Biana (as if she isn't already!!!) Unrelated, I need to try that mask. This baby has done such a number on my skin, and I feel as though my skin is always dehydrated these days! Thanks for sharing! 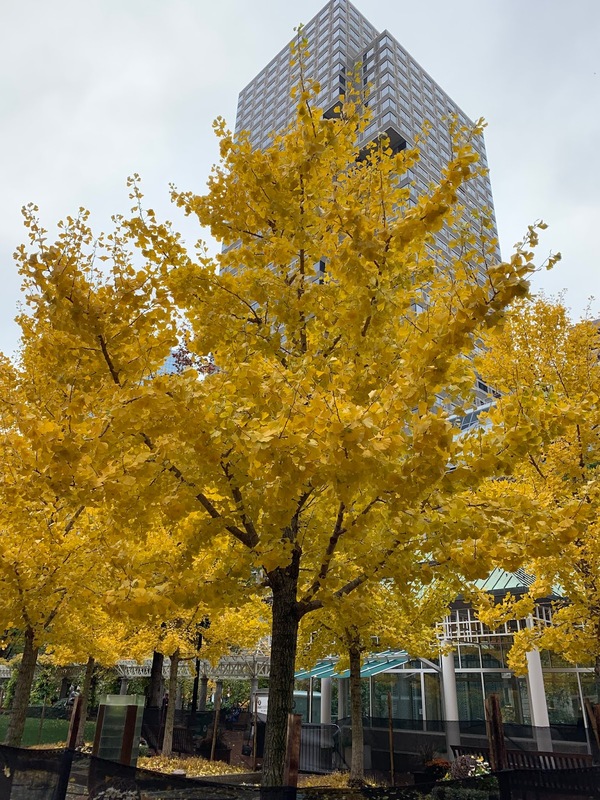 Happy Monday - and happy November! Ok Sophia in her costume is the cutest thing. I love that she has all that candy surrounding her. She is gorgeous just like her mom. Thanks for posting about that mask, my skin has been so dry lately. Happy Monday!! Glad that your transition back to work is going smoothly for you! Sophia was the cutest little Halloween lion. Whiskey In A Teacup is on my Christmas list, so I'm glad to hear it's a good one. It's always tough going back isn't it? The Halloween pick is just adorable. That picture of Sophia in her costume - OMG. She is such a doll. Her little personality is really starting to come out! She is so so cute in her Halloween costume! I really want to read that book! I'm thinking it might be my audible purchase net month! I'm glad that your transition back to work has been pretty easy! 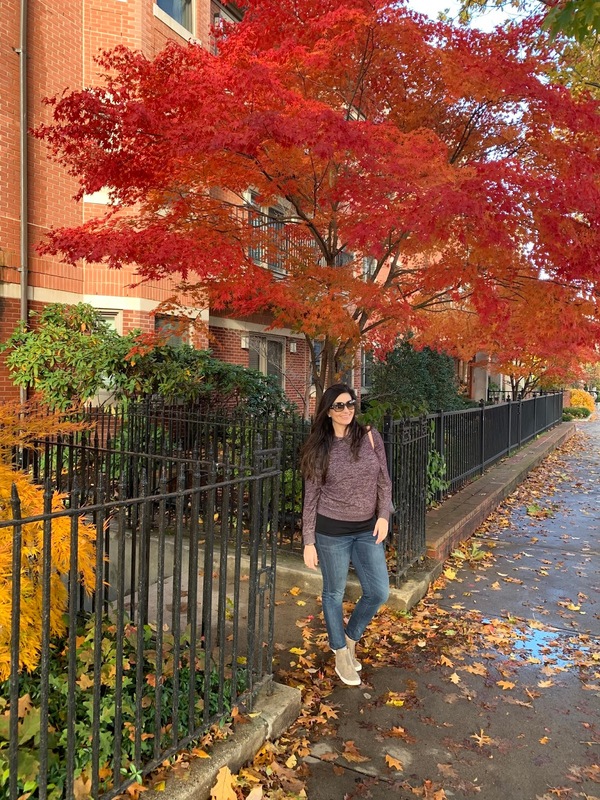 I can't get over how beautiful Boston is with all the fall colors! 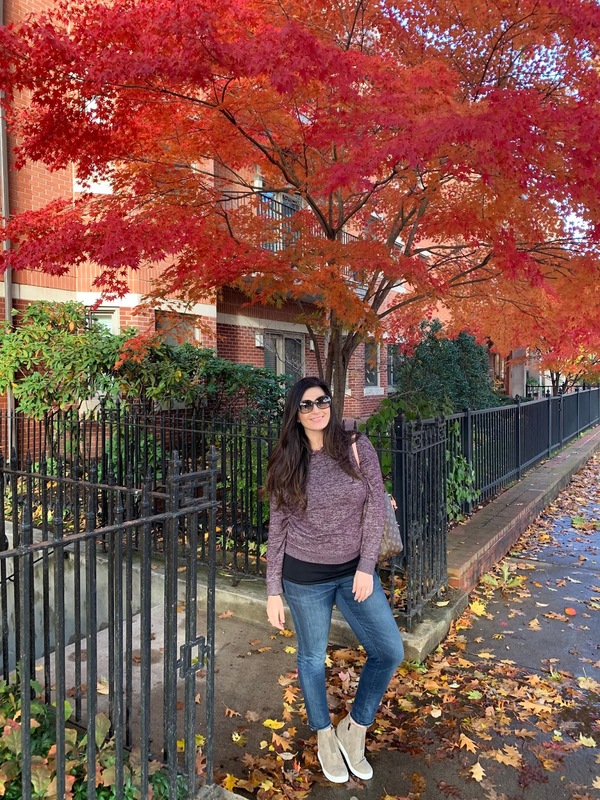 I need to take a fall trip to Boston sometime soon! Sounds you had an amazing October! :-) I like your outfit too! I need to try that Maybelline lipgloss! I've seen it everywhere and just keep forgetting to grab one! Sophia makes such a cute lion! That red tree is just stunning. You had a great October. Sophia was sooo cute for Halloween! Oh my goodness, Sophia is just darling! Love her little costume! I also like those lip glosses -- they are great for everyday wear. Sophia looks absolutely adorable in her Halloween costume! I am definitely going to pick up Whiskey in a Teacup and perhaps those wedge booties, LOVE!! I'm always looking for more moisturizers to try because my skin gets even drier during these seasons. Sophia looked adorable in her costume!! Looks like I'm going to have to get Reese's book since I want her recipes! Okayyyy, I need that mask in my life! I can't believe October is outta here and we're in NOVEMBER! So glad going back to work went okay! I need to look into that book. Glad you all enjoyed Halloween, and your wedge booties look so cute! Sophia looks so cute in her Halloween Costume and I love those sneaker wedges! The Wedge Booties looks super comfy. I'd love to have that for my fall collection. Anyway, lovely photos as always dear!